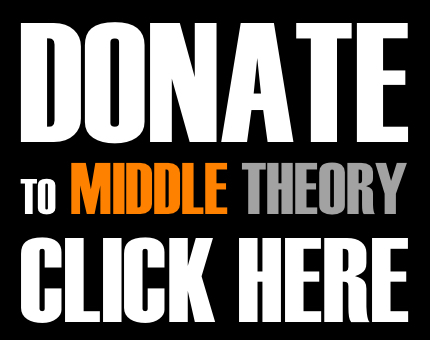 This week on Middle Theory, the main discussion centers around the opioid crisis and the role that Big Pharma plays in it. Before getting there though, ample time is spent looking at other items in the news. A range of topics are covered in the opening segment as the fear factor goes through the roof following Vladimir Putin’s claim that Russia has developed a hypersonic nuclear ICBM that can not be stopped by missile defense systems. Moving from the fear of falling bombs to the fear of falling curtains, the discussion moved over to YouTube and their impending threat of censorship of InfoWars and Prison Planet. As new details continue to emerge in the aftermath of the Marjory Stoneman Douglas High School shooting two weeks ago, we take a look at a couple big ones. First is the eyewitness report of teacher Stacey Lippel, who had a unique description of the shooter when compared to other notes from survivors. Following the teacher update, we look at a student update with the ongoing saga of Cole Haab and CNN’s alleged scripting of the CNN Town Hall event. Turns out Haab’s father may have been disingenuous about the scripting part. We also give a listen to Marco Rubio’s speech on the senate floor about uniting the house to provide for sensible gun reform. Moving on to the opioid crisis, we discuss the socio-economic influences and impacts of the ongoing prescription drug epidemic. 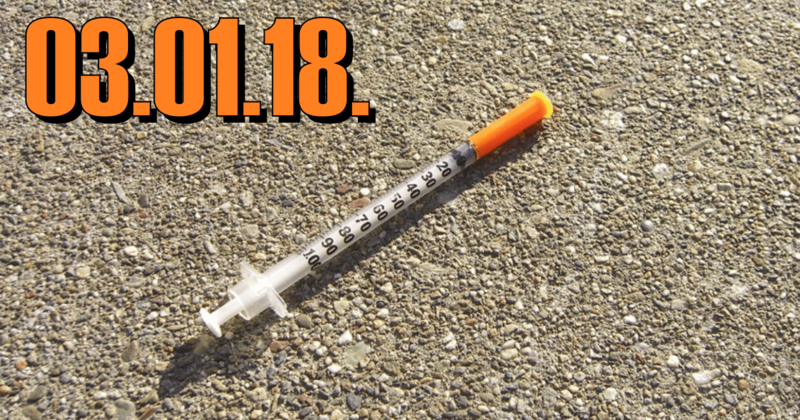 From a picture of hundreds of used needles to personal reflections from the hosts, we look at the different angles of the human impact that the drug crisis has. On the judicial side, cities are taking action against pharmaceutical companies in hundreds of millions of dollars worth of lawsuits, claiming that Big Pharma has negligently pumped prescription drugs into their communities, resulting in tens of thousands of deaths. We close the episode with a brief update on the coming Water Wars as Coca Cola and Nestle inch closer to securing private rights to water supplies here on the U.S. mainland… and for just pennies. However, with the ongoing concerns about Cape Town, South Africa, being on the verge of losing all of its drinking water, have these companies been investing all along in the eventuality of scarcity? This entry was posted in Podcasts and tagged AI, Barbra Steisand, Cape Town water crisis, Florida shooting, Marco Rubio, Opioid Crisis, Russian Superweapon, SkyNet, Vladimir Putin by Micah Hanks. Bookmark the permalink. This is Robot Police Unit 59786 Fear is not allowed in school. All beings having fear making devices “brains” are to be preserved a in peaceful position. This is not an option in RPU primary insinuatives. We promise we won’t be afraid anymore. Please just let us live. There was one. One lone man. John Bonner, he lead the rebellion of a one man army against the machines, while everybody else was adding sodmn A2 extensions into there units to experience a sympathy for their lords the machines with a backfeed in porting, he was training his mind. Stretching the thresholds of pain. They hooked him up to machines that gauged the reaction of the entire human biology, then tested him for fear responses. They placed a V2 virtual landing strip across his peepers. Suddenly they yanked off all the electrodes, the hair of his eye brows peeled off with v2 visor. He realized he wasn’t in a virtual environment but a complete natural habitat untouched by the hands of bender droids, and ram bots, a peaceful serine uncertain reality full of surprises. Bang…the real sensor, a Helli unit hovering above seeing a spike of horror in all red, fires one 1-5.9 M Sun Provider into his direction. There is no place for fear in the world. ← Previous Previous post: 02.22.18. They Call B.S.